This Short film says it all!! See it first to know why it is different! Being an engineer is not complete without having a practical experience. Discover the correct way, where you get the freedom to implement your ideas. Thoughtful Minds is one such IT Company that has crafted summer training in Jaipur meeting the requirement of current market scenario. Before taking your first crucial step and choosing the best summer training in Jaipur, it is essential to know the various aspects. Training needs to complete the real motto of being confident in working. For this, it is essential that you work in actual corporate environment. In this company, you are given an opportunity to work along with the employees so that you can handle the real work pressure. The real purpose of training is to earn a good job. Any company would like to hire a candidate who has knowledge and experience. We prepare our trainees in such a way that along with our company, they have the doors of job open in other companies as well. The team work is essential for everyone to contribute their ideas. Learning in a group culture, helps to develop a corporate personnel and confidence to survive in market. A fight for success can be complete only when you do some extra efforts. Implementing ideas with knowledge accomplishes you as a good candidate for any job. While pursuing summer training in Jaipur at Thoughtful Minds under PHP, you will get an option to work on live project. Apart from the college project, you are required to work on server with the employees. Not just these, the trainee is also given an opportunity to interact with clients along with the mentors so that they ca understand the importance of professional working. Online promotion and internet marketing are very crucial aspect of today’s market. When it comes to the learning phase of online marketing, one needs to be active in participation and understand the essence of working on time. 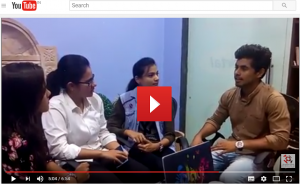 Here we groom the trainee in such a way that how working with the team of professionals he can excel in the field of Online Business Promotion. Working on different platforms is not an easy task. therefore it becomes essential that you pursue a proper industrial training under the professionals of IT Company. The best talent can be showcased when you can get an opportunity to work on live projects. So just don’t be a trainee, be a smart trainee of Thoughtful Minds. At Thoughtful Minds, we impart highly professional industrial training in PHP, Digital Marketing, SEO, Online Business Promotion, Website development, Website designing, and many other technologies. The summer training here is developed for the B.E./B-Tech, M.Sc-IT, BCA/MCA, B.B.A, M.B.A. students that help them to enhance technical skills. To reduce gap between academic learning & Industrial experience. Assignment allotment on basis of developing programming skills. HR Assistance to find good job after industrial training completion. Interactive sessions to learn core & advanced features of the technology. Certifying in respect of relevant training. Offering Live Training by Experts. 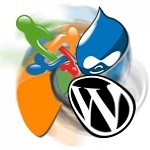 To offer platform of varied clients projects. Students undergo the relevant training programme offered by the company. 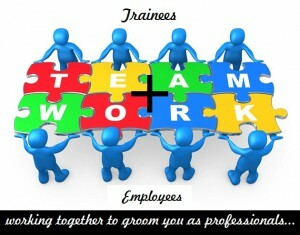 Then, there is allotment of an experienced Team leader under whom the trainee can work on live project. On completing the training, each and every trainee has to submit an individual report of project and along with it, a presentation is supposed to be prepared sharing the learning experience at the company. Thereafter, on evaluation, the student is endowed with proper certificate. 3rd and 4th year of B.E. / B.TECH /M.TECH. Along with having command on subject, having an experience of corporate working is also very essential. This is the reason why we also include interactions on subjects like ROI, Team Work, Leadership etc. Understanding the essence of corporate culture, out training programs are designed as per the requirements of IT Companies in India. The course curriculum as mentioned above also include additional classes on Technical events, Group Discussions, Marketing etc. 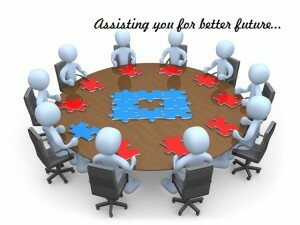 (a) Training (b) Project from Thoughtful Minds Web Services Pvt. Ltd.
Before initiating the program, the student shall be required to abide with the Code of Conduct. This is how we work on developing you as a professional by seeking your active participation in the company as well. We know that the growth of manpower and company go hand in hand. We consider the trainees as a part of company and believe to receive the same respect.